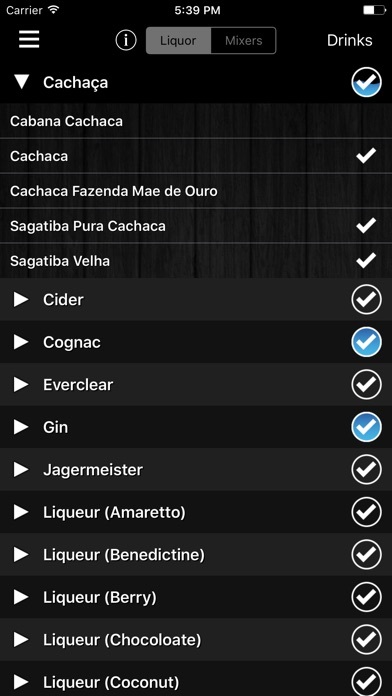 Mixologist™ is the ultimate drink & cocktail recipe app. THOUSANDS OF RECIPES Browse and search through nearly 8,000 drink recipes and over 1,000 ingredients. METRIC/IMPERIAL UNITS Metric and Imperial (US) units can be chosen for all cocktail recipes with the click of one button on the "More" tab. CUSTOM DRINKS Add your own custom drink recipes to the library. LIQUOR CABINET The "Liquor Cabinet" tab lets you enter all the liquor and mixer types you have on hand--and search the entire database for all the cocktails you're able to make. RANDOM DRINKS The "Random" tab has a slot-machine interface, which lets you find random cocktail recipes based on liquor, mixer, and glassware criteria. The Cabinet and Random features are user-friendly because we've broken down ~1,300 ingredients into 87 categories. 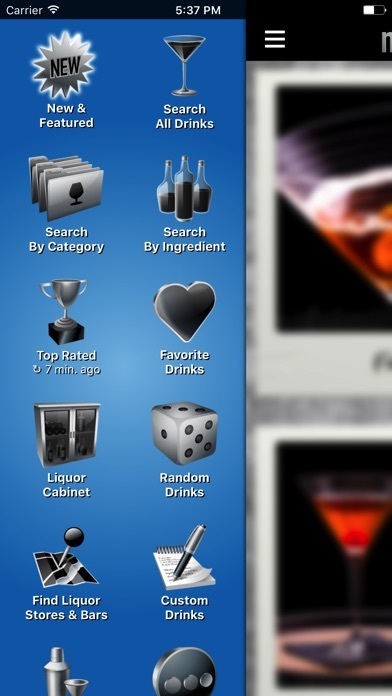 BAR/LIQUOR LOCATOR Find nearby liquor stores and bars using maps and GPS. DRINK CATEGORIES Classic, Popular, Cocktails, Martinis, Shooters, Jello Shots, Hot Drinks, Punches, and Non-Alcoholic. AND MUCH MORE... Learn bartending terminology and techniques. 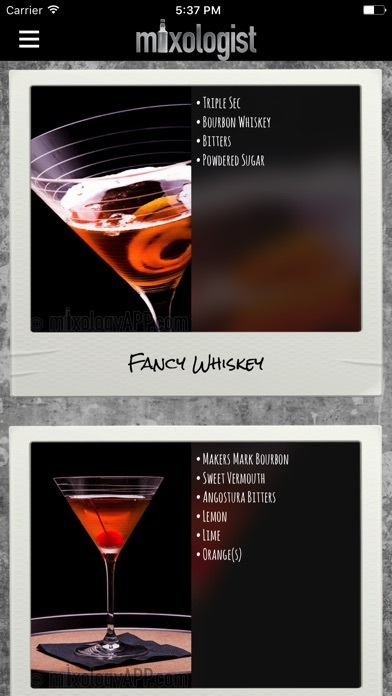 Share cocktail recipes with your friends via Email, Twitter, and Facebook. 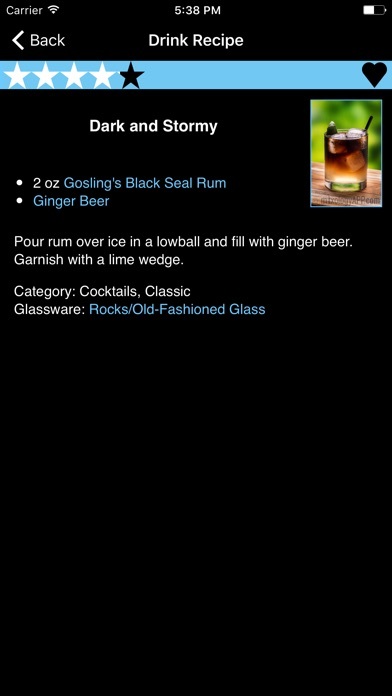 Rate and comment on cocktail recipes. See top-rated recipes recommended by other users. 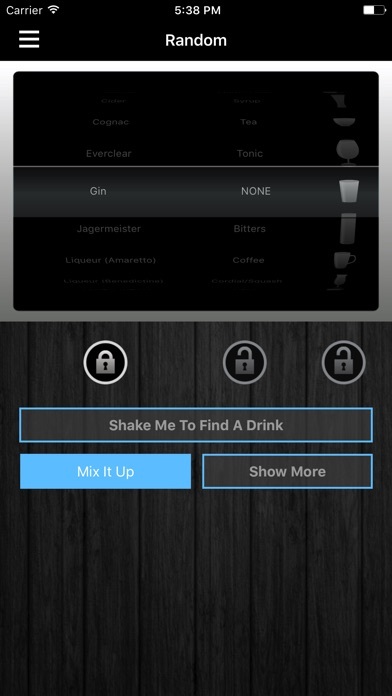 NOTE: The free version of this app is called Mixology™. It's ad-supported and has fewer features.